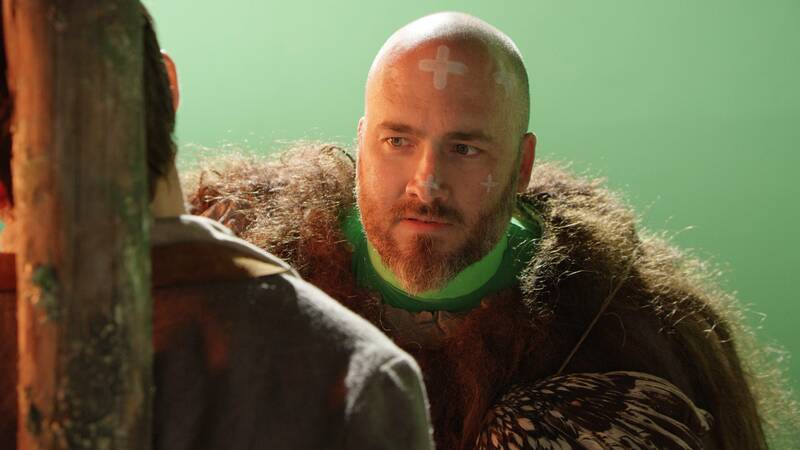 ProductionHUB sat down with President & Visual Effects Supervisor of BluFire Studios, Matt Hoffman, to talk about the CW’s new fantasy-adventure drama series The Outpost. Using Blackmagic Design’s Fusion Studio VFX and motion graphics application, his team created other-worldly characters. The Outpost follows Talon, the lone survivor of a race called “Blackbloods.” Years after her entire village is destroyed by a gang of brutal mercenaries, Talon travels to a lawless fortress on the edge of the civilized world, as she tracks the killers of her family. On her journey to the Outpost, Talon discovers she possesses a mysterious supernatural power that she must learn to control in order to save herself and defend the world against a fanatical religious dictator. PH: Can you talk a bit about The Outpost and how you got involved? 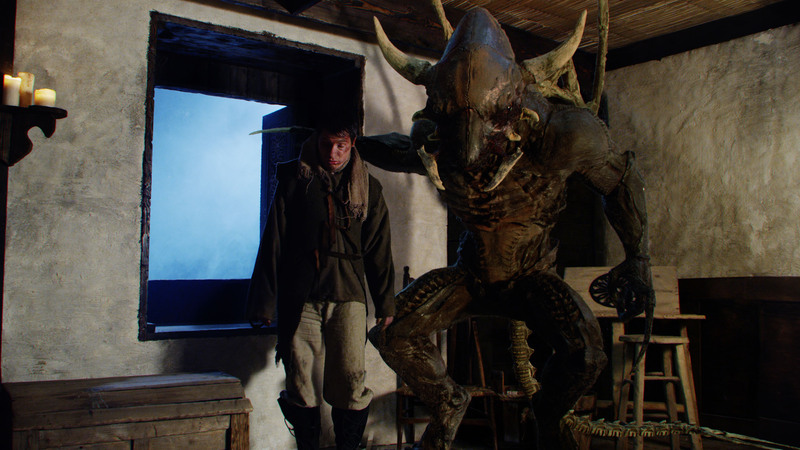 Matt Hoffman: The Outpost is a fantasy adventure series on the WB in the USA and SyFy International. We've worked with the creators, Arrowstorm Entertainment, for years. They've done many independent films in this genre (which is one we all really have a lot of fun working in) because there hasn't traditionally been a lot of mainstream content along these lines, outside of huge projects like Lord of the Rings, etc. Our work with them over the years naturally led to our collaboration on The Outpost. PH: For a fantasy-adventure series, there must be a lot of motion graphics and CGI you need to create. What were some of your favorite VFX shots for the first season? 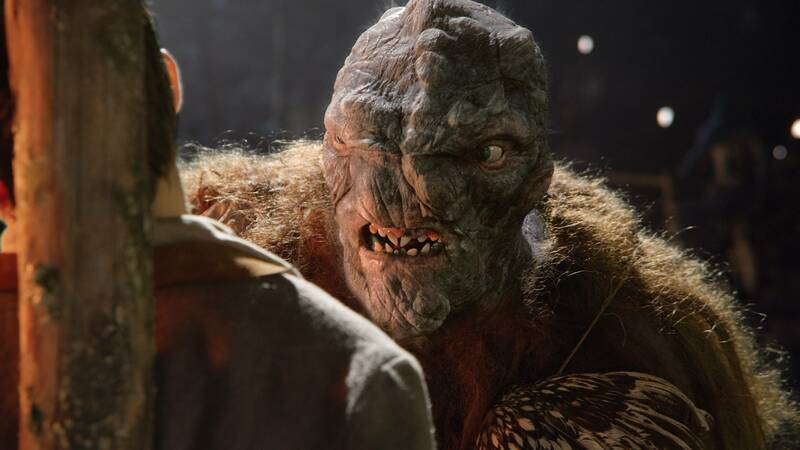 Matt Hoffman: My favorite VFX element that we created was the demon character. He is just a fun amalgamation of designs and alien notions. The textures and shaders were particularly fun to create. It was a challenge because he needed to look demonic and alien, but slightly bug-like and the way he came together, he is more approachable and likable than you'd think a demon creature would be, which worked with what he ended up being in the season. PH: How did you visualize and create the Outpost itself? Matt Hoffman: The Outpost was designed and outlined by Lauren Spalding and then taken to Chris Wells here at BluFire, who created the 3d model of it procedurally In Houdini, so it could change and grow as needed by the production. It was a challenge because of the size of it, and the constantly changing needs of the production. Looking good in a wide establisher and being able to zoom way into certain sections as needed, especially when those areas didn't exist in detail in the previous episode was tough in particular. PH: What other elements to the show are typically decided in the pre-production process? Matt Hoffman: A lot of the creature design, at least in a conceptual phase, is done in pre-production. That can evolve as well, as we see more of a creature or production issues require a full CG creature that was going to be practical etc. The better the initial planning, the more smoothly that kind of thing can happen. PH: How was Fusion Studio helpful to your production needs? Matt Hoffman: Fusion was a boon to us because of its flexibility and ease of use. Especially as we had to ramp up numbers of artists toward the end to meet deadlines and script changes, it was super easy to sit down with artists who didn't even have node-based compositing experience and give them a quick run-down of operation and off they went. Fusion is really well laid out, so it makes sense to artists, but also has the technical underpinnings to keep power users happy. PH: What were some of the things you were able to accomplish more effectively using Fusion Studio? Matt Hoffman: The position pass tools Volume Mask and Volume Fog were a great help as we made changes to scenes post-render. The number of shots we were able to change in-comp rather than re-rendering was astounding. It saved a ton of time as we re-lit and re-textured portions of renders in-comp. The Optical Flow tools are always a lifesaver with cleanup work as well. PH: Can you talk a bit about some of the CG creatures you created? Matt Hoffman: The creatures in The Outpost were a ton of fun to create. We've done creatures for a number of years and is something we really love doing. The demon creature was one that started off as kind of more of a wide to medium kind of creature but turned out well enough that we kept getting requests to push in tighter and get more close-ups of him. 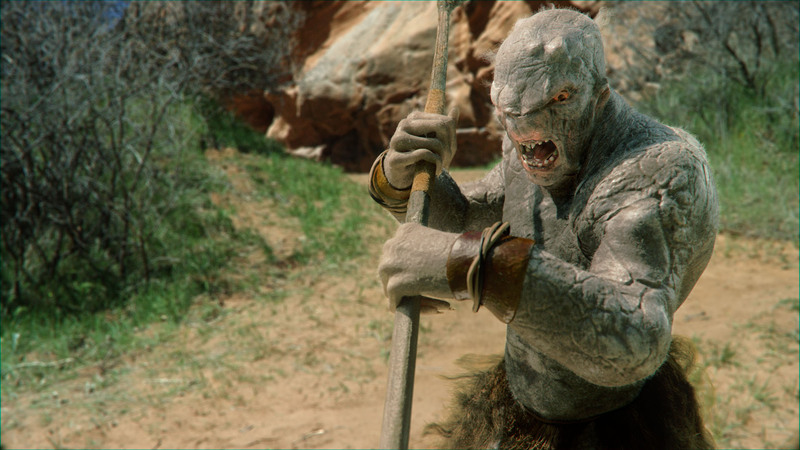 The grey skin creatures featured in the show were a challenge because they were originally intended to be all practical, but when it came down to filming, they realized they couldn't pull off the range of motion that they needed for certain sequences, so we ended up using some practical with CG head replacements, and some full CG shots. It was late in the production so we had to scramble to try to make something that looked cool but also matched the practical suits. A fine balance between the two, but it was a good challenge. PH: What were some of your favorite creations on the show? Matt Hoffman: Definitely the demon. I also liked the little deer-like creature from the pilot. We weren't able to take it as far as we wanted due to time constraints, but it sure was cute. We keep pushing for a herd of them in a future episode or something, just 'cause cute. PH: If you could change anything, looking back, what would you change? Matt Hoffman: I think everybody who creates wishes there was more time to polish, but especially with a show like this, with a significantly smaller team than most shows, you wish you could really spend the time with everything. Considering the constraints, we're pretty happy with how it all came out. PH: What other projects are you working on? Excited about? Matt Hoffman: We're working on The Other Side of Heaven 2 at the moment. It is a ton of work and really challenging sequences as well. A ton of large-scale water simulation, which is a party. We're excited with how it's coming together. Lots of ad work as well, and a couple of streaming series that are in the works. PH: Is there anything else you'd like to add? Matt Hoffman: We love indie projects. The kinds of stories that indie shows are able to tell now are exciting to us and we really love being involved with ambitious indie stuff. We love the voice that it gives to the underdog. We love where Blackmagic Design fits in with all of that.